Notes: Nationally scarce (Nb) in oak woodland and mature hedgerows, in central-southern England, best known from Hampshire, where the species is a New Forest speciality, and often common there during May, but seldom reported anywhere else in the county. Not recorded from the Isle of Wight to date. Wingspan 18-20 mm. Fairly unmistakable. 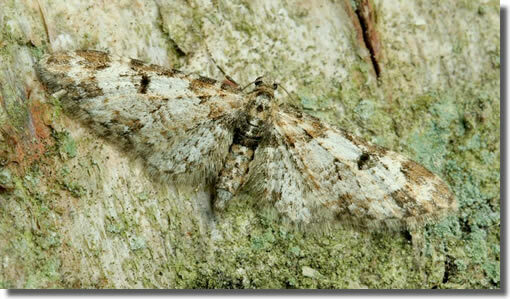 Larva feeds on Pedunculate Oak and Sessile Oak, over-wintering as a pupa.